The idea behind Pictorial Astrology is simple. So simple that it has been overlooked or minimized for generations, maybe centuries. It is all about pictures and visuals, images and impressions. which defines a person and his/her life. Every piece of a horoscope goes to make for a complete whole. but they often get lost in minutiae. Each house, planet, angle and aspect is covered to the nth degree. to produce an integrated portrait. holistically spotlight the pathway of the native. 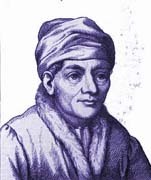 We can begin to understand this concept by considering the chart of Regiomontanus. We merely start at his Midheaven and find Neptune placed there in Leo. Here is a clear picture of a King. 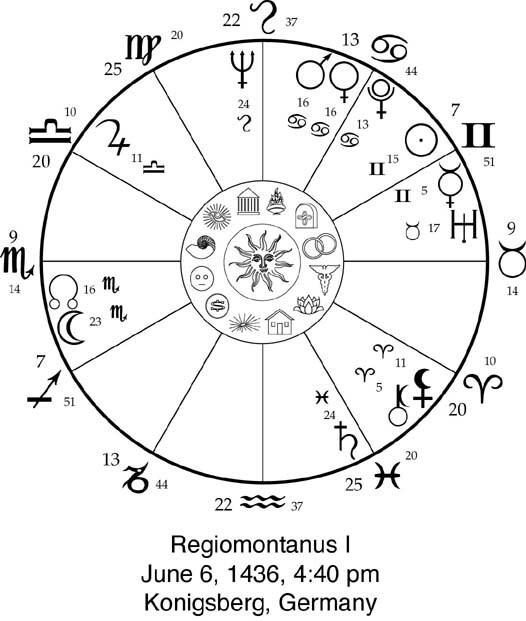 a Grand Trine in Water signs and the Mastery of Regio. makes it clear that he fulfilled his calling to a large degree. reformed and updated the essentials of ancient astronomy-astrology.